When I found out I was expecting our second child I was really excited to wear my maternity clothes again. I had fond memories of my pregnancy wardrobe and was eager to retrieve the bag of clothes that had long been stashed in the back of the attic. 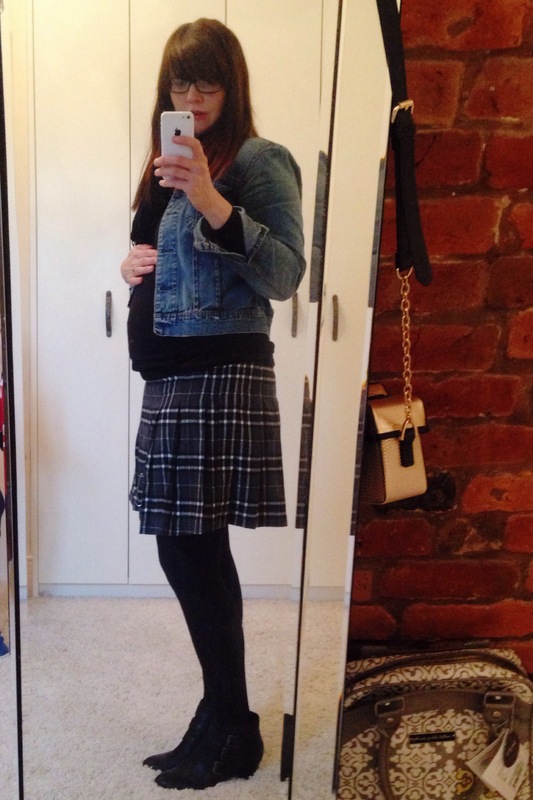 Maybe in the four years since I was pregnant with O my style has completely changed but the clothes I had been so keen to get back out were a huge let down. Apart from one white shirt from Topshop the rest was awful. 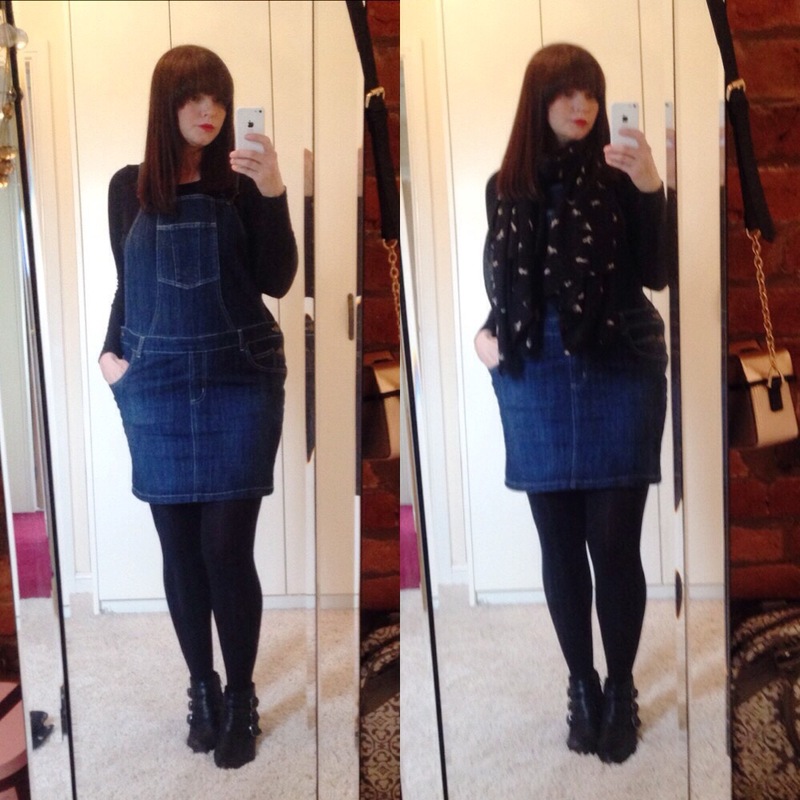 I tried a couple of things on and felt like a sack of spuds. They were shapeless and unflattering. By the time I was O was due I had whacked on 3 stone and was pretty big (putting it politely) so I think I must have gone for the covering up option. With almost nothing salvageable I started my maternity wardrobe from scratch and have really enjoyed dressing my bump. With O I was mostly pregnant during the summer months which was when work was on wind down and included the 6 week summer break. 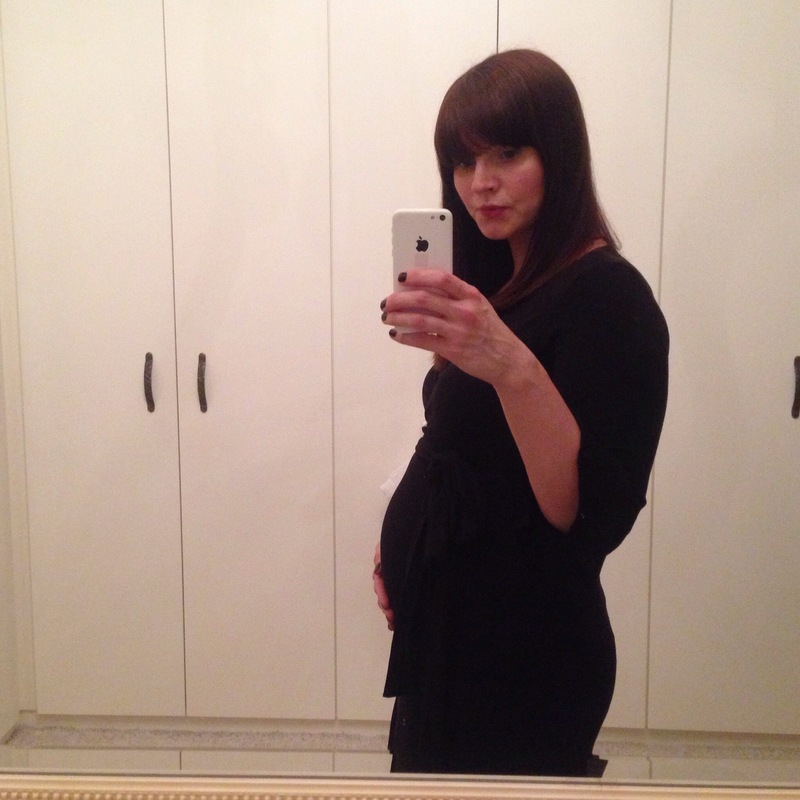 As baby 2 is due in June I have worked throughout the whole of the pregnancy. Whilst I may have grumbled about it (sorry husband) I think that has helped to keep a lot of the weight I gained first time round off as I am on my feet and active for most of the day. The bonus of that is that apart from my bump I haven’t gained too much weight elsewhere and have felt a lot more comfortable with clothes that show off my pregnancy shape rather than looking for ways to hide it. 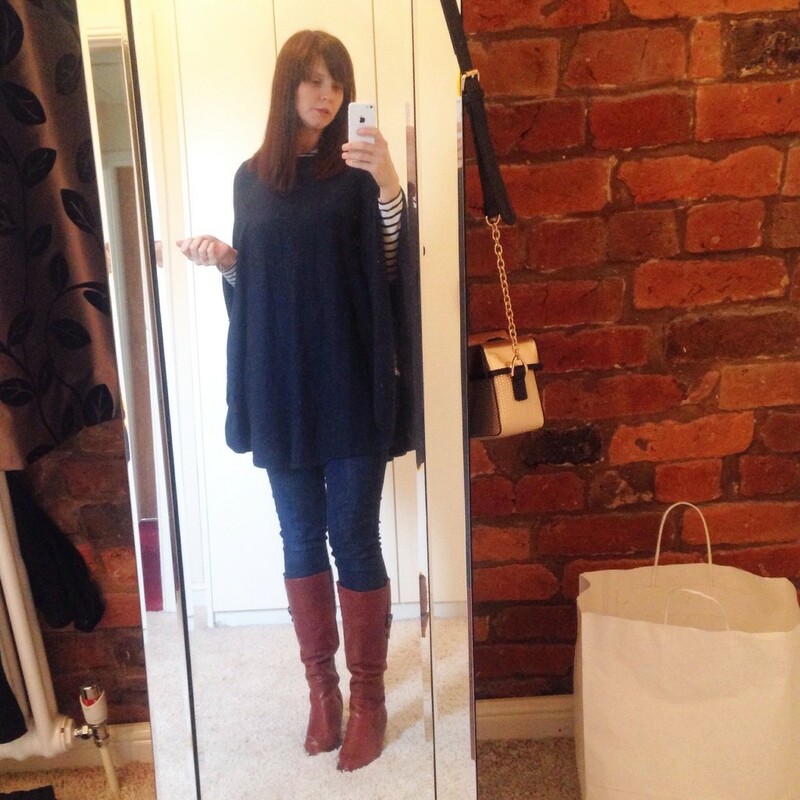 This was one of my first maternity buys which was great for Autumn and will be making a comeback for the Spring, a navy poncho. The colour goes with almost everything and is great for throwing over an outfit on those cooler days. This was a present from my sister in law from an independent shop that was closing down. I have to admit I have pretty much lived in this skirt over the winter months, its so comfy and didn’t look too much like maternity wear. I bought mine second hand off ebay but they are currently on sale on the Jojo Maman Bebe website here. Another ebay bargain was this Isabella Oliver dress that I treated myself to for over the Christmas period. It was in excellent condition and I’m hoping to have the occasion to wear it again before the baby arrives. During my first pregnancy I wouldn’t have dreamed of wearing something like this but I have loved my dungaree dress. So far I have worn it with tights and boots over the winter, although I haven’t quite decided if I will be brave enough to wear it with bare legs when (or if) it gets a little warmer. I’ve worn a lot more dresses this time around and have been a huge fan of the maternity bodycon dresses. 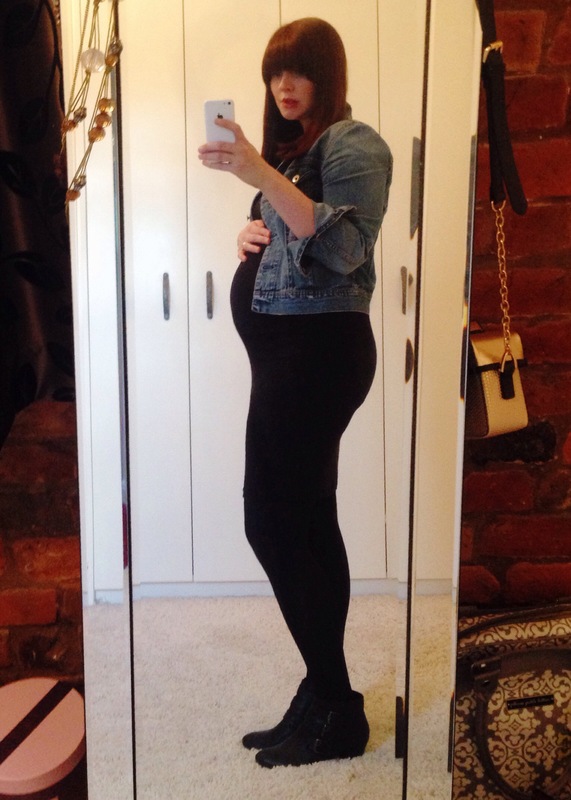 Yes, I sometimes feel a bit too big in them but if you can’t embrace your curves when you’re pregnant when can you? Such a bargain from Mothercare for £15 and can be dressed up or down depending on your mood. This was a last minute addition to my Jojo basket but I’m glad I popped it in. It was in the sale and is so comfy and made of a lovely, soft material. It’s been a great dress for work. You may have noticed that most of my maternity wardrobe so far has been black or navy which has been okay for over winter but with Spring creeping in I’ve recently treated myself to a couple of new pieces to keep me going when the weather gets a little bit warmer. I spotted this dress on the Topshop website and loved it but it was sold out. We popped to the Trafford Centre on Saturday and there was one dress left in my size, must have been fate. 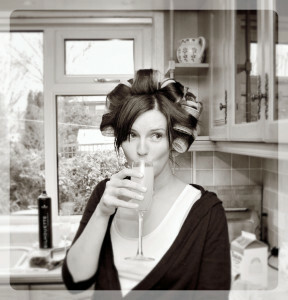 They do the same dress in grey, it is a great fit and isn’t anywhere near as short as it looks on the leggy models! 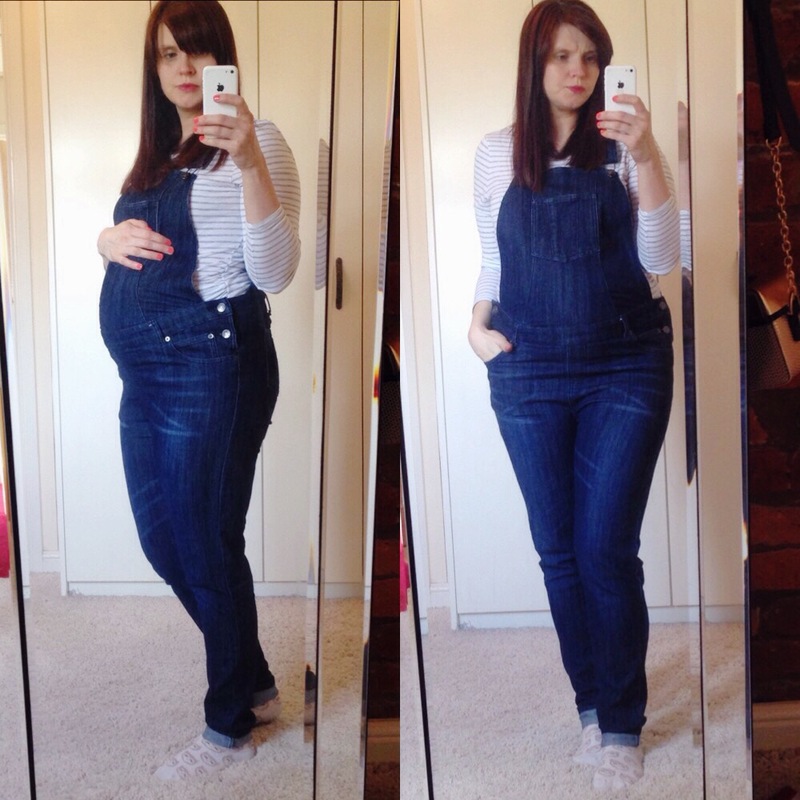 And finally, I just couldn’t resist buying myself a pair of dungarees for this pregnancy. I bought these from Jojo Maman Bebe as I liked the more fitted leg and I’m so glad I did. They are so comfy and don’t dig into my stomach like some of my jeans have started to do. Yes, I feel a little bit like a toddler in them but they do make me smile and make me feel properly pregnant, if that makes sense! 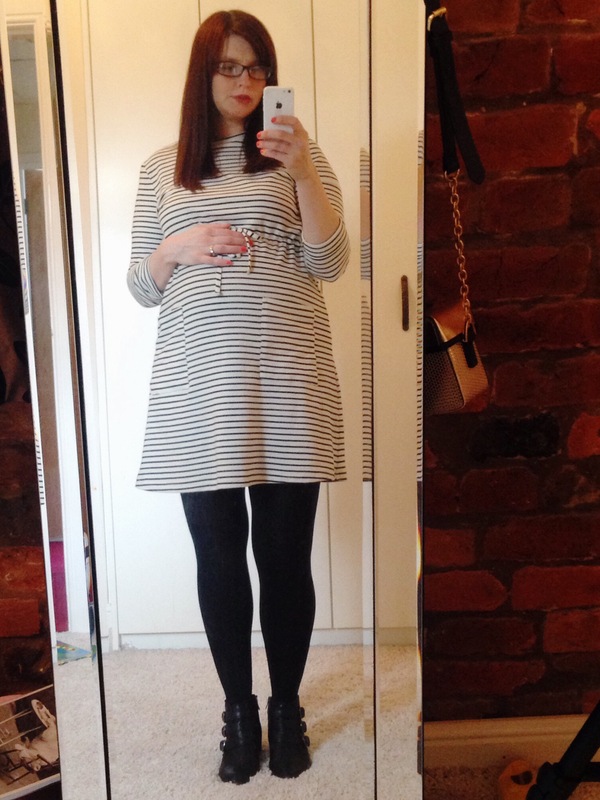 There we go, a few of my favourite maternity buys and a little of what I’ve been wearing for the past few months. 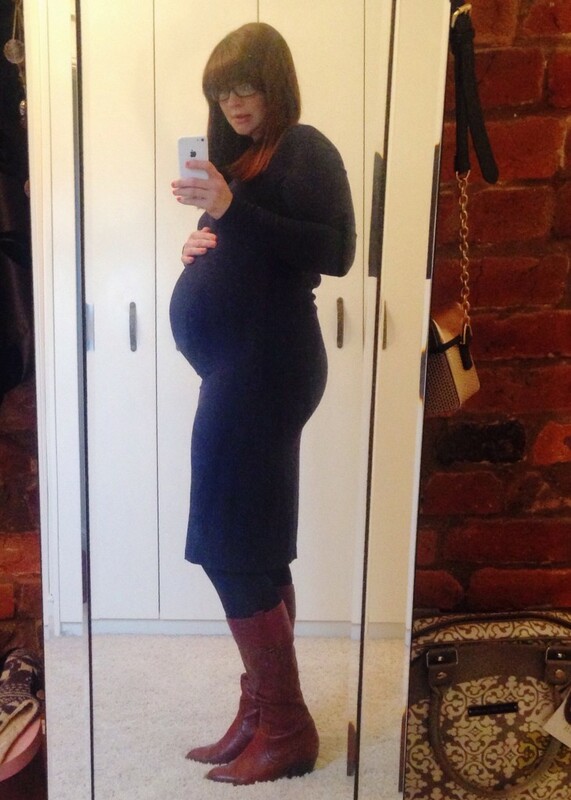 What are your favourite shops for dressing your bumps? 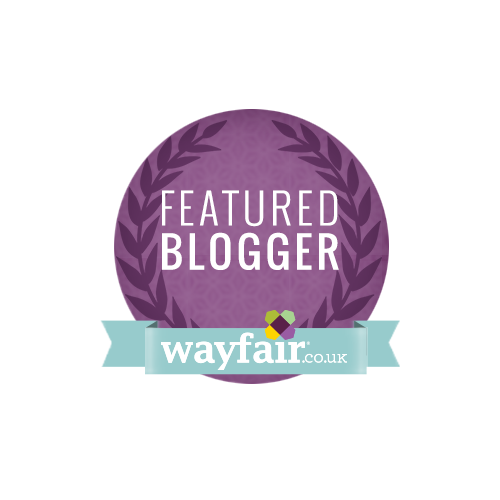 I know the feeling of being let down by stored maternity wear! But yes exciting to find new things in a different season. I thankfully have had a few friends pass things on, but looking forward to warmer weather so that I can wear more dresses!